As we’ve often said on this blog, having only a limited, paved outdoor area doesn’t mean you can’t enjoy the delights of a beautiful garden. This week, we give you a few helpful tips for patio and balcony gardens. Having a clean, well maintained paved area to begin with makes it easy to build up a stylish garden. If you own your home or apartment, consider investing in coloured concrete to give your outdoor area an instant lift. Choosing a warmer tone of coloured concrete will instantly make your outdoor area feel more inviting. 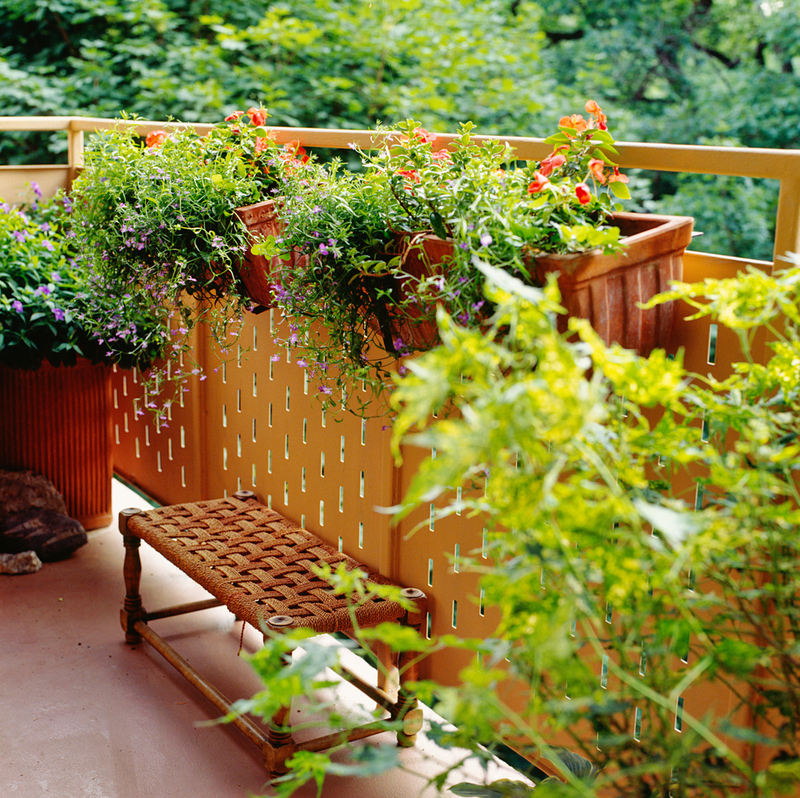 One area where balcony and patio gardeners often struggle is in choosing the right kind of plants for the light levels their outdoor space receives. Whilst there are beautiful plant species for virtually every light level, most people overestimate the amount of sunlight their garden gets and struggle as a result. The easiest way to time and record how much light a certain area gets, and then compare this to the definitions on the plant tags in the nursery or look up the light level definitions. Container gardens can’t fend for themselves the same way that plants in a traditional garden can, so you really need to pick up your game when it comes to plant care. Make sure you buy large enough pots to accommodate the roots of your plant otherwise it will become root bound and struggle. Next, make sure you fill your container up with potting mix and nothing else. Whilst having nothing but potting mix in the container will make it heavier, it’s much better for water retention and will decrease the likelihood of the soil drying out. Because your plants are sheltered from the elements, they are also entirely reliant upon you when it comes to watering, so make sure you follow label instructions and water accordingly. Finally, container gardens don’t have access to any nutrients other than what you give them so it’s essential to use a quality fertiliser or if your outdoor space is big enough, institute a composting system. If you are looking to give your patio area a makeover with coloured concrete, then give the team at A Better Driveway a call on 03 9308 6112. As we specialist in decorative concrete solutions, we guarantee a wide range of colour options, affordable prices, and a positive service experience every time.